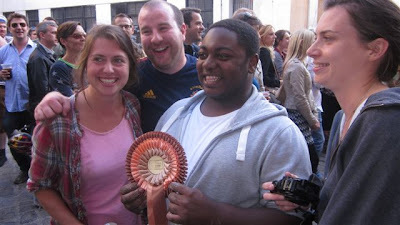 Team List leader Natalie secured the tickets to Rebel Bingo before the blog began but I'm pretty sure it still counts. It's basically a club night (this time at Scala in King's Cross) with a very rowdy game of bingo mixed in every now and then. Everyone was handed big marker pens on the way in for drawing on each other and on the bingo cards - don't wear a white t-shirt unless you want #yolo scribbled all over it. 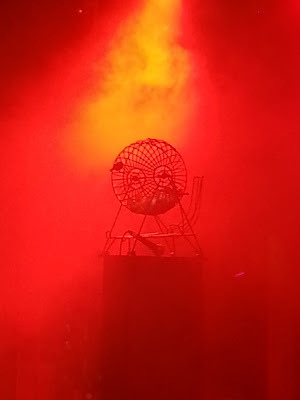 It felt like a festival gig with the scantily clad, foul mouthed bingo callers pumping up the crowd and the odd beer sadly being thrown around, but it was an oddly enjoyable experience! It's definitely worth having a few drinks before you turn up to this one and probably more fun in a large group. Tickets sell out extremely fast every time so be organised if you want to go to their next event! Saturday 16th: I stupidly decided to have a birthday pub crawl on the last day of the 6 nations rugby. More sensibly however, I decided to fill up on food before setting off. I wandered down Northcote Road in search of something tasty and just I was losing hope I was lured in by a free sample to the Well Kneaded Wagon. WKW make delicious firebread pizzas out of their pizza wagon - I went for the Chorizo, Leek and Cheddar variety (a steal at £5) and demolished it in a few seconds. I'm not sure I would have bought one had it not been for the hilarious Carl handing out the free samples out front - his pitch was so shambolic I just couldn't tear myself away. 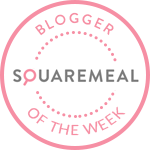 You can find them on Northcote Road on Saturdays and also at Kerb (a street food collective parking up in places around London). 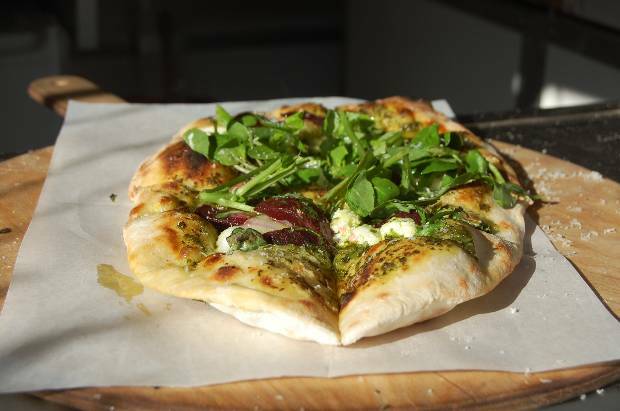 If pizza is your thing then you should also check out Pizza Pilgrims and Homeslice Pizza. 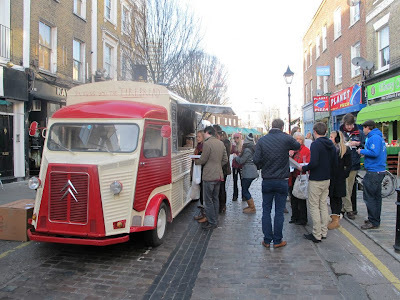 Street food has really taken off and it's hard to keep up with them all so I recommend heading to Kerb and/or going to the Real Street Food Festival on Southbank over Easter weekend to tick a few off. 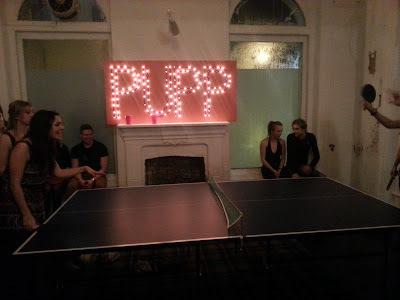 I won't bore you with the details of the pub crawl but it ended up at Pop Up Ping Pong - a Ping Pong event in a disused pub near Kensington Olympia (with baby burgers or "sliders" provided by #BRGR). Tickets were £6 which gave us free access all night long to the 4 Olympic-sized tables that PUPP had crammed in. Drink choices were limited but incredibly cheap and vodka mixers were served in the classic American red cups though no beer pong broke out that I noticed (head to Exhibit Balham for that) - CORRECTION - there was beer pong, I am clearly not very observant! We managed to colonise a table in the corner for most of the evening with 2 mysterious and frustratingly capable girls often joining in the fun too (speak up if you are reading this!). Socially it worked really well with people rotating round tables quickly so you were often playing with randomers. There will be more PUPP events - follow @PingPopPong to stay up to date. For more permanent Ping Pong head to Bounce in Holborn or Ping in Earl's Court. I also spotted a table outside the Doodle Bar though I can't guarantee it will be there again! One slight downside was the epic wait for food! In my merry state I wasn't too bothered waiting 2 hours for my burgers but I should imagine some people were less patient. That said, when they finally arrived they were delicious. I had a pair of White Truffle Cheeseburgers (having stated the secret white truffle burger password "Tyrion Lannister" that was spread around on Twitter) and they disappeared even faster than my firebread lunch. 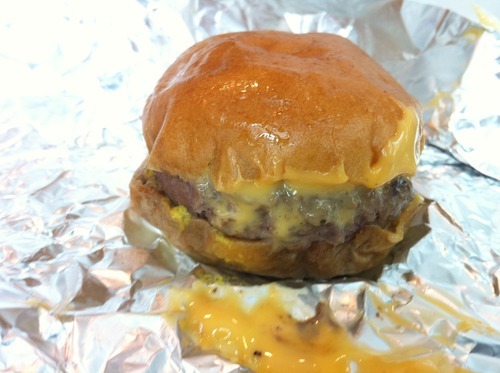 #BRGR are a very small, pop-up West London burger joint who are only delivering locally at the moment, but I look forward to seeing them expand soon as they deserve to! Sunday 17th - To finish off the weekend, I decided to combat my hangover with a Bottomless Brunch at Dime Bar in Battersea. 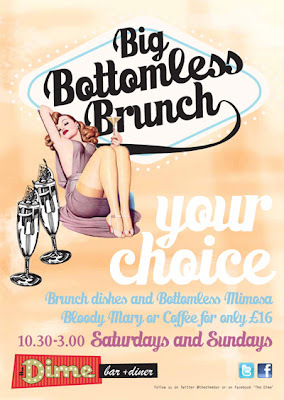 For £16 you get to choose one of five brunch dishes plus also unlimited Mimosas, Bloody Marys or coffee (from 12-3 on Saturdays & Sundays - not 10.30-3). Only 3 of us made it in the end - List Leader Natalie and an overdue first Team List mention for my sister Emily who deserves credit for many pre-List places. Despite being tempted by a pancake and waffle stack, we all went for the Trucker Special - an enormous fry up with both hash browns and chips for potato lovers. It's a fry-up worth getting out of bed for and an absolute bargain if you arrive early and fit in a few drinks. You might as well book - it started to get busy around 1pm and people stick around once they have arrived to maximise the bottomless drinks situation. For a Bottomless Roast, head to House of Wolf in Islington on Sundays for a similar deal for £25. UPDATE - Dime Bar sadly closed its doors at the beginning of 2014 - Bottomless Brunch will be missed! Oscar speech time - thanks to many Team Listers this week for keeping me going! Natalie (currently way out in front - who's going to step up? 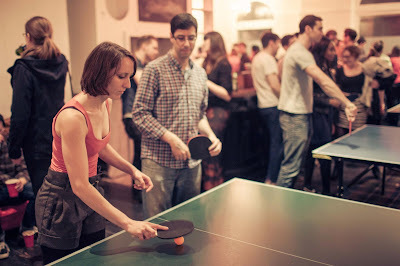 ), Embob (Dime Bar), Mary, Joe, Morgan, Cass, David P, Leanne, Lee, Jane, Jason, Ali, Seb, Libby, Sabina, Lydia, Tom, Christine, Rosie, Taro, Andy, Lauren, Felix, May, Kathleen (Pop Up Ping Pong and #BRGR), Luke, Breedy, Olly (Rebel Bingo), Harriet, Dinwiddie, Sophie and David C (pub crawl via Doodle Bar). Phew. Give me a shout if I have missed you out! Thanks for reading (or looking at the pretty pictures) - stay tuned for B.Y.O.C and the sold out Malt Jockey event coming up this week plus a special List edition all the way from Paris next weekend!